- Opportunistic: We identified datasets from international and national sources with details of named human rights defenders killed in 2016, such as the Frontline Defenders 2016 annual report and the Programa Somos Defensores annual report on Colombia, and then researched each case. - Systematic: We set up search engine alerts using keywords and conducted other searches online to identify relevant cases across the world. - Verified: Where possible, we checked with in-country or regional partners to gather further information on the cases and verify that they were applicable to our definition. The following criteria needed to be met for a case to be included: - Credible, published and current online sources of information. - Details about the type of act and method of violence, including the date and location. - Name and further biographical information about the victim, such as their occupation, organisational and political affiliations and - where relevant - their ethnic or indigenous identity. - Clear, proximate and documented connections to an environmental or land issue. In some cases, the criterion of an online source is negated by the capacity of respected local organisations to carry out and transmit to Global Witness the results of their own investigation and verification of cases. We have recorded data about the cases using the HURIDOCS Event Standard Formats and Micro-Thesauri, an approach which is widely used to manage and analyse material of this nature. While we have made every effort to identify and investigate cases in line with the methodology and criteria, it is important to add that our research mostly relies on public information and that we have not been able to conduct detailed national level searches in all countries. Language is another limitation; besides English, the main languages that we have searched in are Spanish and Portuguese. Due to the large number of countries and potential sources, we have concentrated our searches on those countries where initial alerts indicated that there were potentially relevant cases to investigate. Our contact with local organisations is also patchy; Global Witness has well established links in some countries but they are lacking in others. In summary, the figures presented in this report should be considered to be only a partial picture of the extent of killings of environmental and land defenders across the world in 2016. 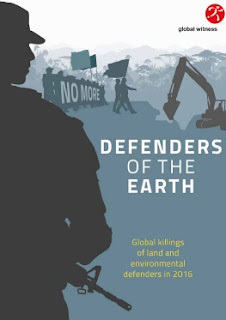 Relevant cases have been identified in 24 countries in 2016, but it is possible that they also occurred in other countries where human rights violations are widespread and likely to also affect land and environmental defenders. Reasons why we may not have been able to document such cases in line with our methodology and criteria include: - Limited presence of civil society organisations, NGOs and other groups monitoring the situation in the field. - Suppression of the media and other information outlets. - Wider conflicts and/or political violence, including between communities, that make it difficult to identify specific cases. It should be noted that we include in our database friends, colleagues and family of murdered defenders if a) they appear to have been murdered as a reprisal for the defender’s work, or b) if they were killed in an attack which also left the defender dead. Finally, Global Witness is committed to fighting the impunity in which the majority of killings of defenders are currently found. 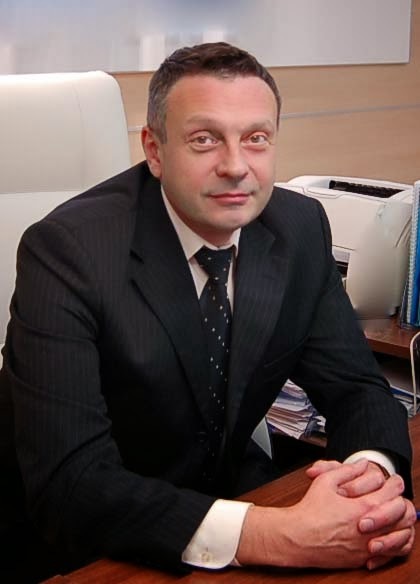 We will only take cases out of our database, where a successful prosecution has concluded that the motive for the murder of the individual was not his or her land or environmental activism, and when the individual’s organisation and/or family believe that due process was followed in that prosecution.